From 2017 County Galway homeowners will pay more property tax than people living in more expensive houses in Dublin following the Galway City Council's recent, controversial, decision to hike property tax rates for the county by 10 per cent. The decision to hike the tax means that a householder living in a €250,000 house in Dublin now pays less LPT than the owner of a €150,000 house in County Galway, according to Independent county councillor James Charity. He called the increase "a penalty on those living in rural Ireland and the west". While the difference is actually small, €344 in Dublin to €346 in Galway, Cllr Charity said the principle involved was that people in Galway are "not getting the same benefits" in terms of services from the tax as are people in the east. "Roads and services in rural areas like County Galway are far inferior to those in Dublin and along the east coast," he said. "People see no value from the LPT they are paying. Rather than enhance local services and amenities, the LPT has created further division and inequality between east and west. The entire administration of the system, as well as the general mechanism of funding local authority areas, needs immediate revision." At the recent county council meeting, a majority of councillors supported calls by officials to hike the tax, with the increase coming into effect from next year. County council CEO Kevin Kelly, told councillors that unless the property tax was increased, the local authority would not be able to maintain services. All but one of the Fine Gael councillor supported the motion, along with several Fianna Fáil councillors. Sinn Féin, a majority of Independent members, and some FFers opposed the motion. 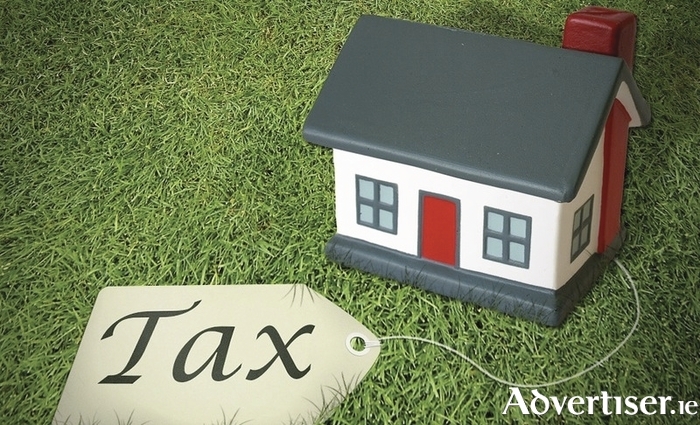 Local authorities have the power to raise or lower the property tax by up to 15 per cent. However a trend has emerged which has seen council's in the west raise the tax, while, for the second year in a row, the Dublin City Council, Dun Laoghaire County Council, South Dublin County Council, and Fingal County Council reduced their tax. "It is now glaringly obvious the Local Property Tax was designed to penalise those living in rural Ireland, with the vast majority of increases happening along the western seaboard," said Cllr Charity. "At the same time, householders living in far more expensive properties in urban centres along the east coast have availed of a 15 per cent reduction." A number of attempts have been made by some city councillors to have the rate of the tax in the city lowered, but such calls have not been supported. However City Hall has resisted raising the tax. The actions by its county equivalent will now raise fears that city homes are set for a hike in property tax rates.